Very Good. For Dummies. 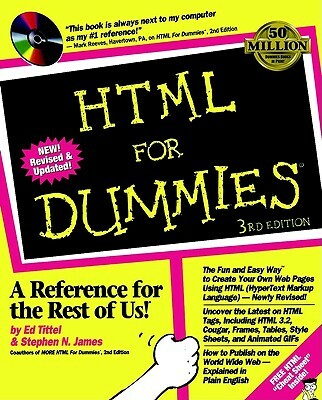 This manual provides advice on HTML and designing Web pages. It discusses layout and design, offers tips and techniques, and reviews of software tools that aid Web creation. The CD-ROM contains sample HTML code, Web page templates, and demonstration Internet software. Good condition, Missing CD with minimum amount of wear. Same day shipping. Thank you.